Have you ever heard of a beautiful high mountain valley called BAGROTE? Located at the very heart of the gigantic Karakorum range of mountains, neighbour to Hunza? And a place not difficult to reach either! A flight from Frankfurt takes you directly to Islamabad in Pakistan. Here a small aircraft picks you up - destination Gilgit. A bazar town which you reach after a 55 minute flight with breathtaking views of snow-capped Nanga Parbat, K2 or Mount Godwin-Austen and hundreds of other Himalayan peaks. Pakistan International Airlines call this flight "Skydance to the Mountains". You might even catch glimpses of the Karakorum Highway, the modern version of that ancient and mysterious silk road to China, a trading route which abounds with legends of fame and disaster, ruthless pursuit of materialistic gains and great men. Gilgit itself offers a wide range of accomodation. Try the Riveria Hotel on River View Road. A place which we personally recommend. The town is an ideal starting point for many sightseeing and trekking tours. Busses, minibusses, and jeeps leave Gilgit Bazar daily. And one of their many destinations is BAGROTE - just 17 kms and a two-hours-jeep ride away. BAGROTE is part of a region long admired by writers, scientists, and travellers from all parts of the globe. Beautiful landscapes with some of the highest mountains in the world, age old traditions and customs and very friendly people invite you to stay and see for yourself. It is said that James Hilton's famous novel Lost Horizon, written in 1930 and depicting the classic dream of a Shangri-La, was inspired by the area. Since the beginning of the 20th century many researchers have visited this part of the world to study the region's huge variety of languages, its history and geography and cultural uniqueness. On a day tour from Gilgit you will see the main valley of BAGROT which extends over roughly 25 km. Summer settlements and pastures just below the Barchi and Hinarchi glaciers offer idyllic walks to familiarise oneself with the area. A tranquil river in summertime the main water supply of the valley is lined with terraced fields of all sizes, beautiful meadows and orchards which are fed by a highly sophisticated irrigation system. On your way to the mouth of the valley you pass by six villages until you reach a truly magnificient place with a beautiful waterfall. Right next to the gushing water a hidden retreat offers refreshing mountain tea and substantial local food: Bagrote Sarai Hotel. And Mr. Raza, owner, manager and cook will only be too happy to share with you his knowledge of the natural beauty and history of the area. Just around the corner and only a 30 minute walk away, even more peaks and a broad river bed offer unforgettable views of a genuinely unspoilt nature. 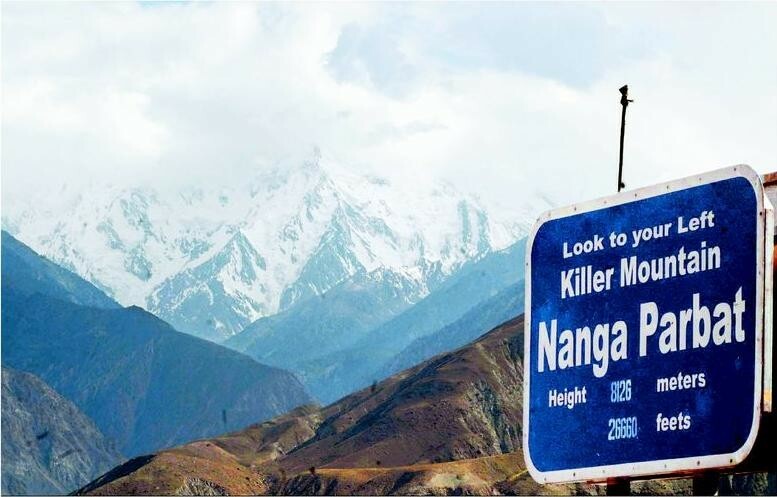 Turn around and you are standing face to face with the impressive Rakaposhi peak, the range of which forms a natural boundary between the valleys of Nager and BAGROTE. Besides its breathtaking scenery BAGROTE offers a privately funded self-help school project to visit. It is dedicated to the education of girls who have long been neglected in favour of boys when it came to schooling and education. Founded in 1992 as a small neighbourhood school it proudly presents itself today as a private high school for girls, hosting over 300 students. Situated near the linkroad to Datuchi Kot the school has become an institution for female education in BAGROTE. Its teachers will gladly furnish you with further information.